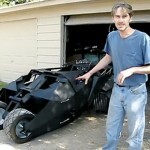 Build Your Own Tumbler Go-Kart – You Know, Like From Batman, Only Mini | OhGizmo! 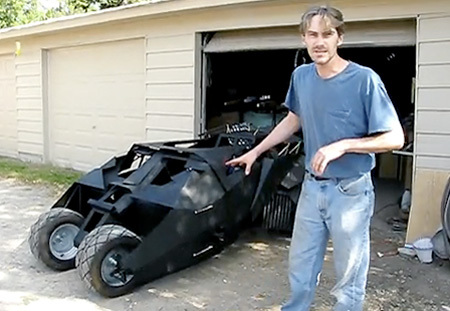 There are levels to nerdship and we’re pretty sure that spending countless hours building your very own miniature replica of the Tumbler from Batman Begins and The Dark Knight qualifies your for a lifetime achievement award. Ebay user “tully712” did just that but at least had the presence of mind to try and capitalize from his obsession by putting up plans to his creation for auction. The starting price was $29.88 and with 13 hours left, bidding is unfortunately only up to, well, $29.88. 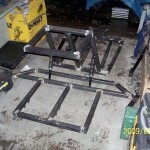 Should you be the lucky winner of this auction you will receive a zipped copy of the files by email, granting you a license to build this yourself although not ownership of the design itself. We’re not certain about the legal implications of this user profiting from a car actually designed by a multi-million dollar cinematic production, but we doubt anyone really gives a damn. 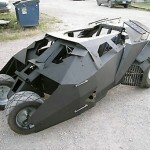 Keep reading for a video of the Tumbler Go-Kart in action and a little photo gallery. 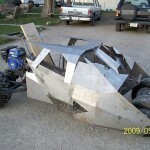 I would love to build my own Tumbler Go-Kart. I would feel really cool. 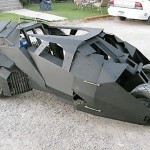 I would be the kid driving this thing to school haha. Man, I wish I had one of those when I was growing up. Lucky kids these days and their options.